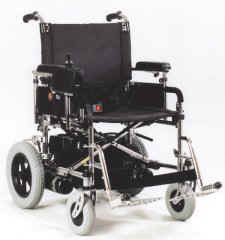 We carry a large selection of new and used electric wheelchairs, manual wheelchairs and lifts. Free shipping and some of the lowest prices on the net! you can be on your way to an active lifestyle in your new motorized wheelchair. Motorized wheelchairs today are designed to maneuver very well indoors, as well as outdoors over grass and gravel and even to climb small curbs! We at American Wheelchairs have a huge selection of new and used motorized wheelchairs to chose from including top brand names such as Pride Jazzy, Merits, Invacare, Shoprider and much more! We will help you to determine the power chair that will work best for your individual needs. 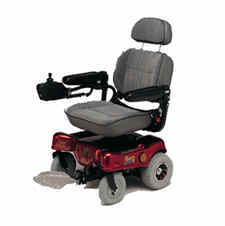 We also offer financing for power chairs for those on a limited budget.